The role technology plays in our life is rapidly evolving. The rise of wearable technology from fitness trackers to the Apple watch has been possible by the technology getting smaller and faster. Technology is becoming part of us. As these technologies are being developed and tested, there is a need for guidelines to address ethical and security issues, as well as accuracy of the data. As patients are gaining direct access to these devices, applications offer real time measurements of cardiac physiology and some translate the data to provide diagnostic information. 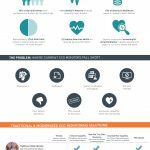 Several studies have questioned the accuracy and validity of the data generated and multiple mobile health technologies are currently available without testing and validation through clinical studies. My watch told me to go to the hospital: atrial fibrillation. Atrial fibrillation (afib) is the most common arrhythmia currently affecting over 5 million people. With the aging of the population, prevalence of afib is expected to reach almost 15 million people in the US by 2050. Afib is associated with a five fold increase in risk of stroke and death and represents a growing economic burden. Atrial fibrillation remains a diagnostic challenge due to the fact that it is often asymptomatic and is often diagnosed when a stroke occurs. It also represents a long term challenge and often involves hospitalization for cardioversion, trans- esophageal echocardiogram procedures, antiarrhythmic treatments, atrial fibrillation or His ablations and permanent pacemaker placement. Earlier detection of afib could lead to stroke reduction by initiating therapies earlier. Physicians need accurate methods to follow the disease in the ambulatory setting to assess the efficacy of treatment and plan necessary interventions if clinically warranted. Currently, several methods are used to monitor patients with arrhythmias: Holter monitors, external loop recorders, 14-30 day cardiac event monitor belts or patches and injectable cardiac monitors. These methods are not applicable to all patients suspected of afib. A reliable, cost effective and convenient tool for non-invasive afib detection would be desirable. My watch told me to go to the hospital: accuracy of wearable monitors. Clinical research at Cleveland Clinic was done to test whether wrist-worn fitness trackers were accurate in measuring the heart rate across different types of physical exercises. Fifty healthy volunteers were enrolled. The main finding was that the chest strap monitor was the most accurate in tracking the heart rate across different types and intensity of exercise. The tested five different wearable heart rate monitors (Apple Watch, Fitbit Blaze, Garmin Forerunner, Tom Tom Spark Cardio and a chest monitor) across three different types of exercise: treadmill, stationary bike and elliptical. While the watch-type heart rate monitor was reasonably accurate at rest, they were inaccurate while bicycling or on the elliptical, particularly if arm levers were used or the intensity of the exercise was increased. Of the wrist-worn devices, the Apple watch fared slightly better. They found that the devices can equally over- or underestimate the heart rate. The Apple and Standford’s Apple Heart Study enrolled 419,093 volunteers across 50 states over the course of 8 months using the earlier version of Apple watches. This was a younger patient population with 80% being less than 55 years. Less than 1% or 2,161 participants received notifications alerting them of heart rate irregularities of which, 300 had a diagnosis of afib prior to entering the study. In patients older than 65 years, comparisons between irregular pulse-detection and simultaneous ECG patch recordings showed a 71% positive predictive value with 84% of them being in afib at the time of the notification. These results need to be interpreted with caution since it included patients with afib (exclusion criteria) and only 20% of the patients who received the pulse notifications connected to a telehealth doctor or returned the ECG patch for comparison. This is obviously a stepping stone and additional research is needed to see how useful wearable devices can be in daily life and predict problems. Our patient is a 74 year old man who has coronary artery disease who underwent a coronary artery bypass surgery in 2002. He has peripheral artery disease and in 2007 underwent an abdominal aortic aneurysm repair using an aortic stent graft. He has sleep apnea and he is treated for hypertension. In 2017, during his regular follow up visit, he was found to be in afib. His only complaint at the time was a slight increase in shortness of breath. His adjusted annual risk of stroke was 3% and he was started on eliquis 5 mg twice daily. His heart rate was well controlled with a beta blocker, pindolol. He later spontaneously converted to normal sinus rhythm and was continued on anticoagulants. In 2018, his family offered him an Apple watch, series 4S for Christmas. On January 8th, 2019, his watch alerted him that he had an increased heart rate at 130, even when he was resting. He was asymptomatic but decided to go to the ER where a diagnosis of afib was made. He underwent cardioversion at the hospital. The echocardiogram performed during his hospitalization revealed a mildly reduced EF at 40%. Subsequently, he necessitated a pacemaker due to persistent bradycardia and he is now doing well with an improved heart function (EF = 50%). My watch told me to go to the hospital: Kardia band. In November 2017, the Kardia band (KB) (AliveCor) was introduced as the first FDA-cleared, Apple watch accessory that allows a patient to record a rhythm strip equivalent to lead 1 for 30 seconds. The KB is paired with an application that provides an instantaneous and automatic rhythm analysis for the diagnosis of afib. The application can inform the patient when afib is detected and transmit the ECG to the treating physician. 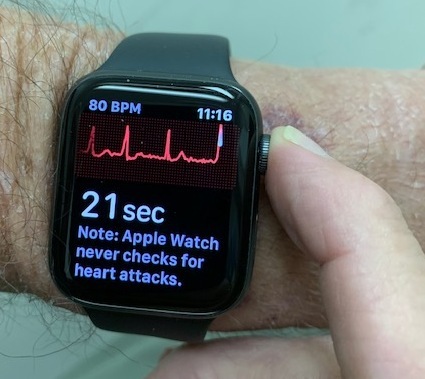 In a study to examine whether the KB/Apple watch could accurately differentiate normal sinus rhythm and afib compared to physician interpreted 12 lead ECG, a total of 100 patients with afib presenting for cardioversion were enrolled. They found that KB algorythm for afib detection supported by physician review can differentiate afib from sinus rythmn. The technology can help screen patients prior to elective cardioversion and avoid unnecessary admissions. This study included only a small number of patients with a high enough burden of afib to require cardioversion. This is obviously not applicable to the general population. As a matter of fact, the KB/Apple watch cannot detect a myocardial infarction or a stroke and is not on the lookout for afib. Most studies are feasibility studies and are hypothesis generating, but are not outcomes driven. They are not randomized and are not placebo or sham controlled. These observational studies are riddled with false negatives, where the Apple watch fails to detect the afib and false positives, instead detects a problem that does not exist. In a false negative example, a patient who has afib does not consult the physician about his palpitations or shortness of breath because the watch does not post an alert and provides false security. For this reason, Apple says its new watch technology to detect afib is NOT intended for afib patients. The latest KB/Apple watch is not accurate enough to handle the task of diagnosing serious medical conditions. Its claim is a “gateway” for discussion with the physician. The value of the KB/Apple watch is if it is used in the right people. The patients, older than 55 years with diabetes, hypertension, heart failure, vascular disease and female patients with previous stroke are at increased risk of afib and could probably benefit the most, although it is still to be determined. If you buy an Apple watch with KB monitor, the set up screens are loaded with warnings. If you check a circle saying you have already been diagnosed with afib, you land on a screen that says: this app is not for you! How about our patient who had paroxysmal afib and started wearing the watch and was notified of the fast heart rate. There may be a role for afib patients and portable wearable technologies as a fast heart rate can lead to heart failure. In our patient with previously normal EF, afib had caused a lowering of his heart function which resolved after cardioversion. The idea that wearable technology can be used by patients and their physicians to manage and improve cardiac health hold promise for the future. Understandably, there is a lot of excitement among patients and physicians regarding a paradigm shift that may occur which empowers patients to be in control of their own health. However, until more reliable algorithms are developed, we must not be overly reliant on these technologies. It behooves us to ensure that the data and information derived are used appropriately and that it is confirmed with other evidence based tools and good science. 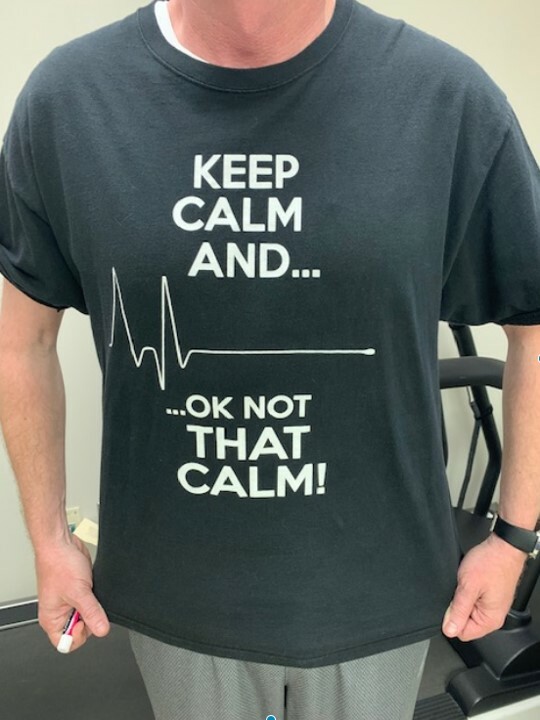 Lastly we want to share one of our afib patient’s favorite wearable! We would like to acknowledge the help of Drs. Ibrahim Hanna and Sahil Attawala for helping us taking care of patients with afib. 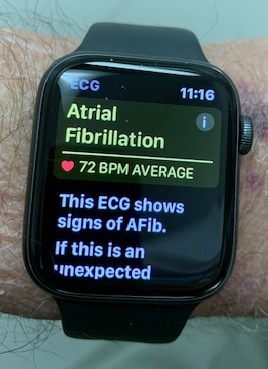 Not sure why KB discussion was jumbled in with Apple Watch with AFIB detection. 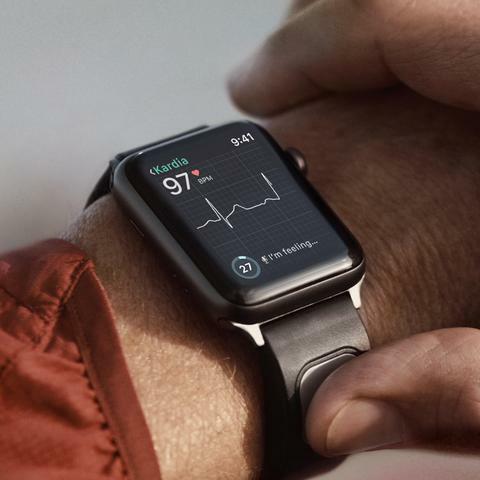 It’s the Apple Watch that is not for people already diagnosed with AFIB. The AliveCor device is specifically for people who have been diagnosed with AFIB. KB is completely irrelevant to this discussion of the patient whose watch saved his life.